When it comes to dog/pet safety I’m a huge fan, so when I was offered by the lovely team over at Pet Shop Bowl to try out this dog walking kit I jumped at the chance. 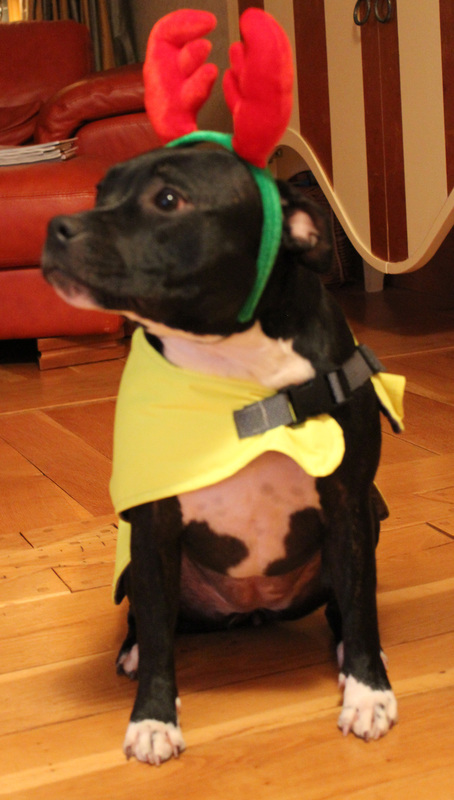 One of our pups, Chungy, has a poorly leg and is being operated on this week so we let Chess try out the kit. She’s the live wire of the two of them so I was worried how she would react, but she loved wearing her coat! She even sat still with the super cute antlers on! 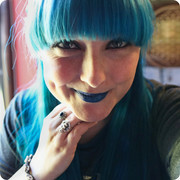 I was really surprised, I expected her to cause havoc and not sit still to get a photo, but she proved us wrong! In the photo above she was actually watching TV, such an odd little pup! But how cute does she look?! 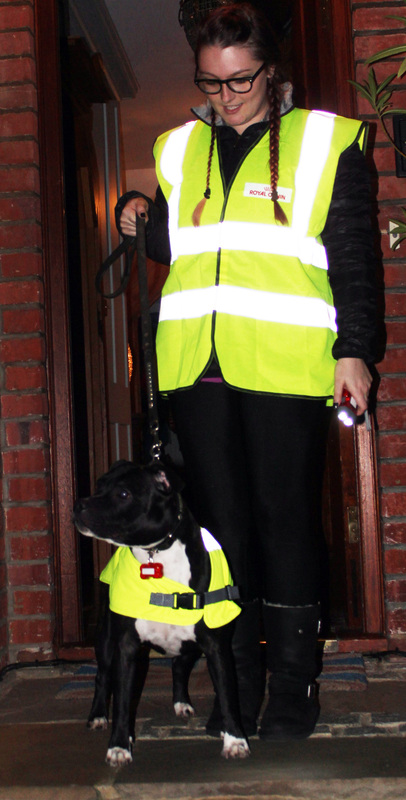 These coats are such a great idea, with our pups being predominately black they are such a good way for them to be seen when walking them at night. 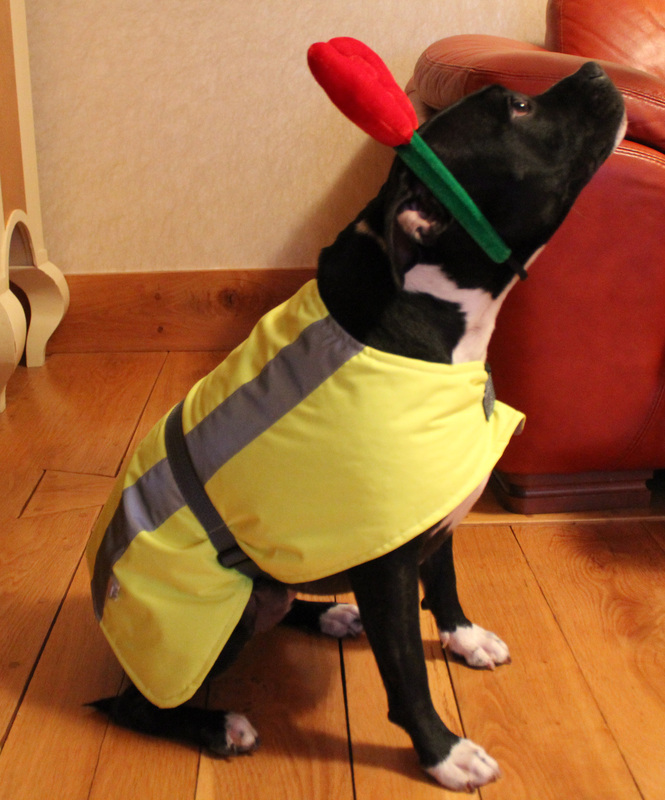 It’s even better for those who have to take walks down country lanes to ensure all oncoming traffic can see your dog. Also included in the walking kit was a matching coat for me, a flashing bone to clip to Chess’ collar, a torch and a doggy pedometer to ensure they are getting enough exercise. I think we both look pretty dapper in our matching coats! For under £10 I think this is such a great buy, and totally worth it for your dogs safety. *This walking kit was sent to me for review. Such a good idea, she looks adorable with the antlers on.